You just might be surprised at how much fun this place is. It's not really a zoo but an interactive game farm. Now obviously you can't interact with every species of animal they house here. But the animals you can get up close and personal with will make the Olympic Game Farm one of the best side trips you'll ever take. We had so much a fun that we drove around twice. I think we spent more than two hours driving around, taking pictures and feeding the omnivores. Your admission ticket including the drive tour is good all day, so you can come and go as you please. We suggest you drive through the game farm very, very slowly. Stop. Take lots of pictures. Laugh. Laugh some more. You paid to be here, enjoy the day with your family, friends and these animals so take your sweet time. I say this because some people were just driving too fast and would ride our tail. Really? Don't let these busy bodies bully you. 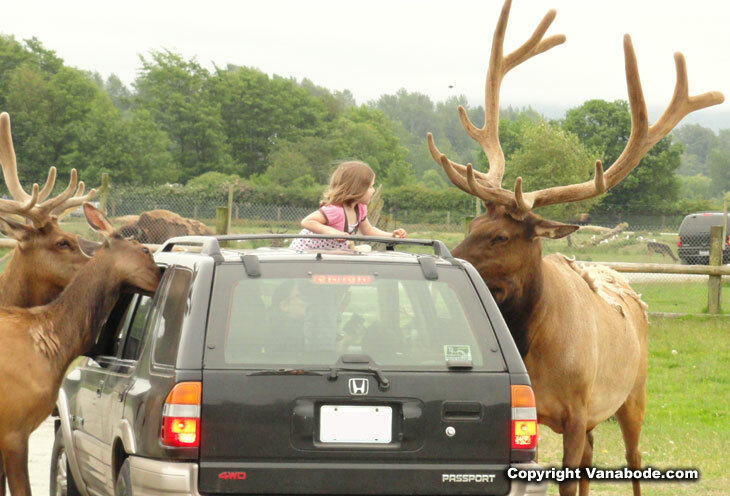 There is plenty of room for cars to pass while you're stopped to feed the animals. We really enjoyed the bears. They know what button to push to get fed bread. They wave, stand, stick their tongue out, open their mouth really wide and these are just the stunts we witnessed. I'm sure they could break out more tricks if coerced properly. Along the bear portion of the park we saw Black bears and Kodiak bears. In the wild vegetation is the primary source of food for bears. However, they will not dismiss eating mammals they happen to uncover while foraging for berries. And the Kodiak bears switch to an all carnivorous diet during salmon runs. 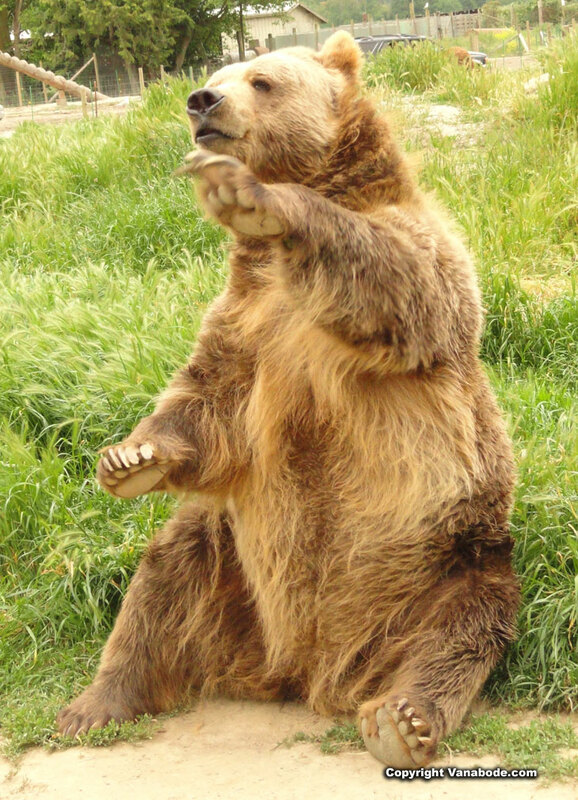 Above: A bear waves at passers by for slices of bread. Separating you from the bears is an electric fence and a little bit of a ditch. It's awesome to be so close but know that you aren't in much danger. When throwing your slice of bread the goal is to aim for his mouth. His lap is another good landing point. However, if you fail to throw your bread far enough and it lands at the fence line, don't worry. He is very smart and knows how to gingerly pick at the slice until it can be grabbed. You will then smile and tell him he's a good boy and want to reward him with a better throw. But this time setting up your arm in better position aiming for his mouth. The particular species of elk at the game farm are the Roosevelt elk. They are known to be the giants of the northwest and can weight up to 1,800 pounds. If you want to see Tule elk in wild then hike Tomales Point Trail at Point Reyes National Seashore just north of San Francisco, California. You can watch many herds of Tule elk grazing, drinking and socializing. 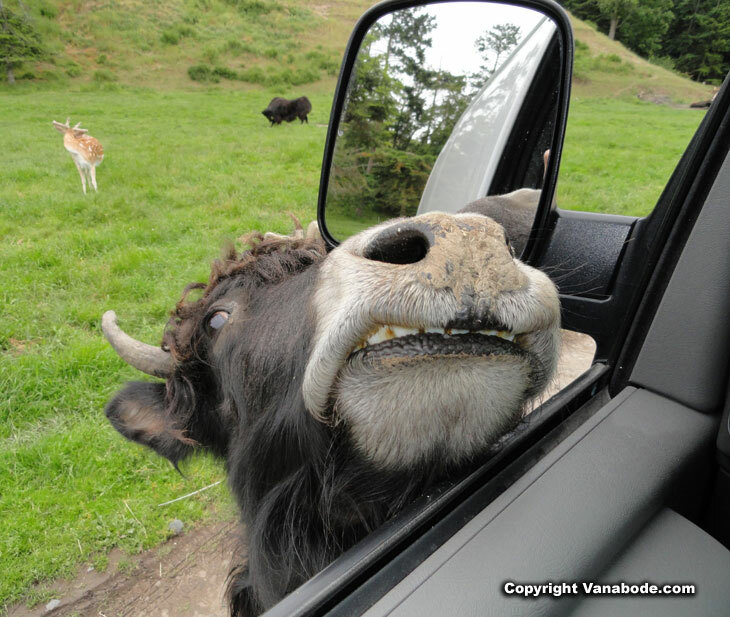 Above: The animals can stick their heads in your car windows. However, sticking your body out of your car window or door is frowned upon in this park. I'm sure this little girl had a blast though. I know that I probably would've done the same thing if we had a sun roof on our Vanabode. 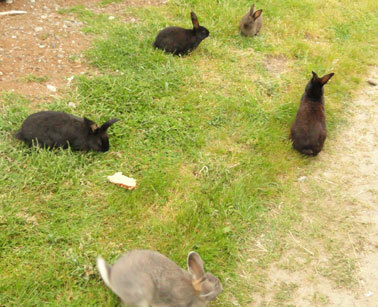 Rabbits are all over this park. They eat the bread too. How much fun for us. Have you seen Bugsy? Peacocks can be found in and outside of the prairie dog habitat. There is more to see besides the animals on the drive tour. When you arrive you should definitely start with the tour to feed the animals. Then stop and park to stretch your legs walking the self guided tours available. Then take another drive through before leaving. 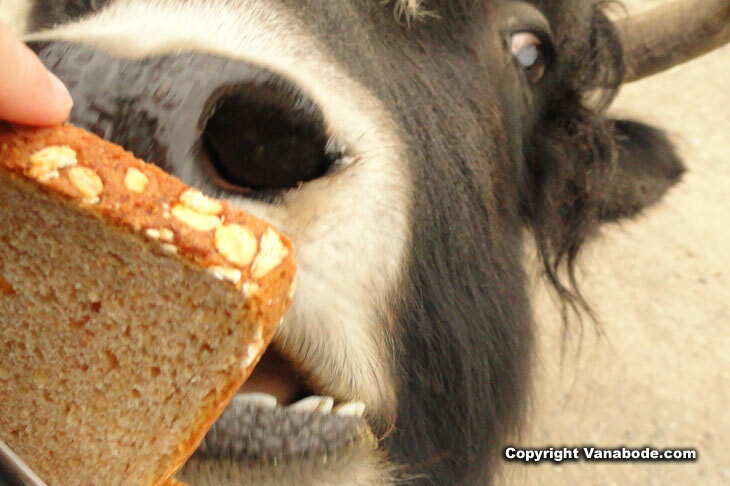 Above: Domestic Yak. Yes, very domestic indeed. They make a grunting sound are not shy no matter what size your vehicle is. This may sound silly but the first time you roll down your window and an animal put his head in your car it is an instant age reversal. You will laugh and scream all while smiling the entire time. You will be nervous and brave simultaneously proving to all parties involved that you are not a scaredy cat. And when it's all over you will chant, let's go again, let's go again. 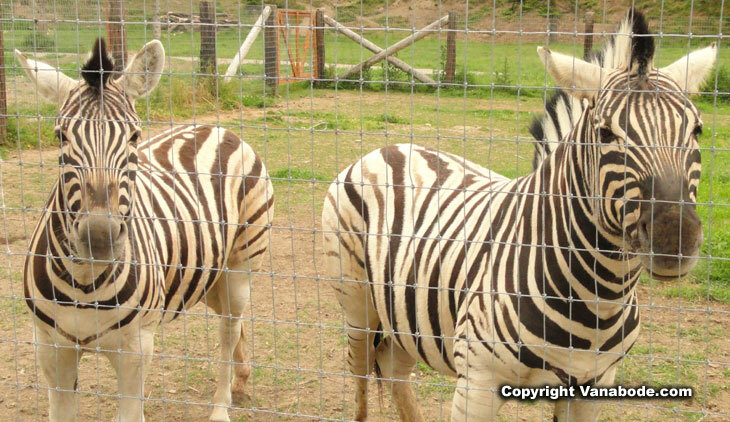 Above: The Zebra is an mammal from Africa and is related to the horse and donkey. They usually have the zebras roaming around the grounds with the bison and elk but for whatever reason when we were there they were in a fenced area. Too bad for us. I want a zebra head in my car. Lloyd and Catherine Beebe, owners of the game farm, worked exclusively with Walt Disney Studios for almost 30 years. 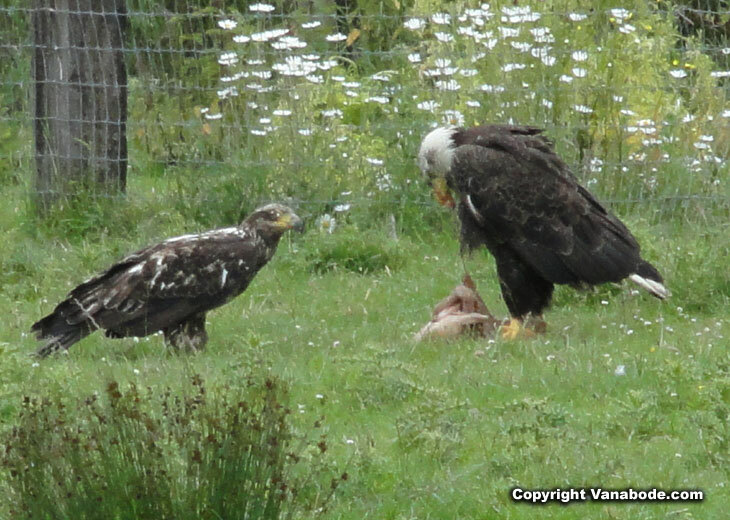 The use of the Olympic Peninsula, Olympic Game Farm property and animals can be seen in over 100 motion pictures including Disney's and from a few different movie production companies as well. They trained and housed the animals to be used in films. Initially the design of the Olympic Game Farm was to be a holding compound and animal training facility for animal actors. But in the summer of 1972 they opened the park to a few people. It was successful. So, with a few adjustments and a few months later they officially opened as a business to the public. Above: I would say that these deer were more timid than any other bread taker in the park. Even though they came up to the car they were not as aggressive as the yak or elk. 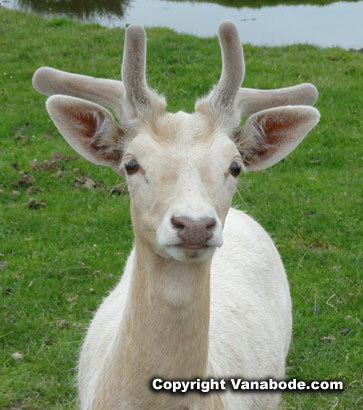 The Fallow deer is a member of the deer family. They are medium in size and have several color phases due to being bred for more than 1,000 years by European game parks. They have great eyesight, unlike other deer species. 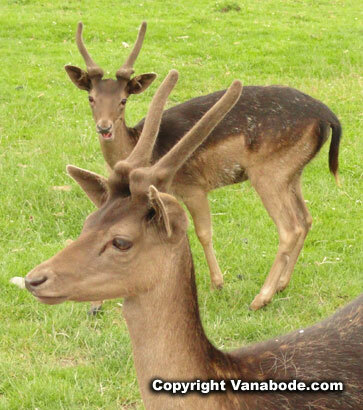 In the wild they Fallow deer live in large herds. Above: Spit from a llama is not something I want to clean off my person or vanabode interior. So, I was more timid with them than they were of me. They have such a soft mouth and I just want to pet it but I'm too much of a clean freak to chance an ah-choo or something like that. Built in 1862, the historic Studio Barn was used in many Disney movies as well as the filming for other production companies for almost 30 years. Walking through you will see movie props, antiques, lights and memorabilia all inherited by Lloyd in 1972 after Roy Disney passed away. Today, you can take a self guided tour through the farm's education area as well as the studio barn. There is also a kids petting zoo and fresh water aquarium that you can buy tickets for as well at the Olympic Game Farm Washington.